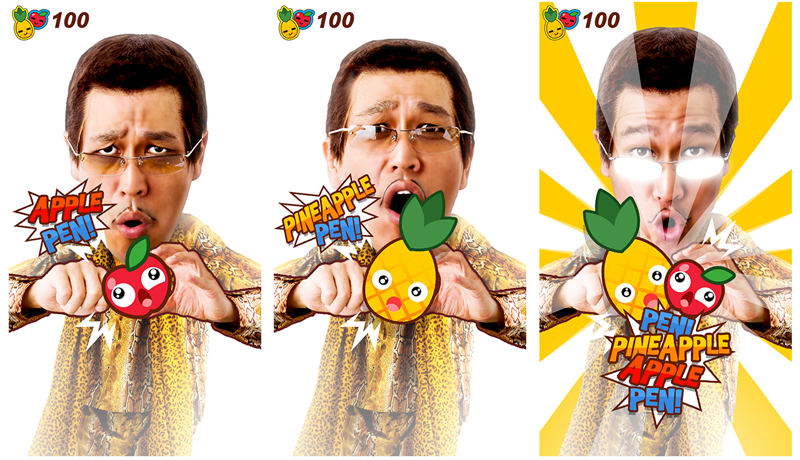 The “Pen Pineapple Apple Pen” guy gets his very own smartphone game! 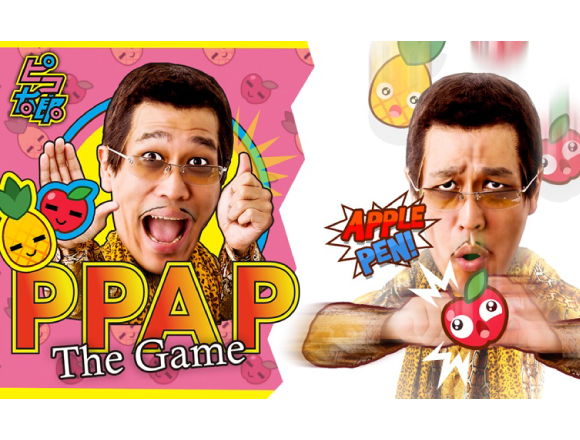 Pikotaro, the man who you will know as responsible for the viral hit “Pen Pineapple Apple Pen”, released his first ever official game on LINE titled “LINE：PPAP The Game” on December 20th. There’s no need to download the game as you can play it directly from your LINE app. Just follow Pikotaro on LINE and you’re good to go. Fear not those of you outside Japan as you can play the game overseas too by following the same steps. The gameplay is very simple. Time your tapping perfectly and hit the apples and pineapples that fall from the top of the screen while aiming for a high score. If just one piece of fruit falls to the floor it’s an instant game over. How will you be able to pierce with you pen? Take up the challenge and aim for a high score! Open up LINE and click on “Add Friends”. From there, click on either “ID/Phone No.” or “QR Code” at the top and enter the relevant information found below. *If you’re adding via QR Code, click the link above and scan it to add Pikotaro. ■Related Article: Pump up your party with PICOTARO’s official costume ー get your PPAP on ASAP!!! ■Related Article: Pikotaro is teaching Elmo and Cookie Monster how to do the “PPAP” ! Does it means that the Sesame Street version of “PPAP” ; the “ CBCC “ is finally done ?! Copyright © cavex management.Inc / LINE Corporation. All rights reserved. ※You can play the game by following Pikotaro on LINE. ※Aforementioned details regarding the game are the same as the information on the game’s day of release. Information may be subject to change without notice. ※If you are using packet data you will be subject to unaffiliated fees. ※All product and company names are trademarks™ or registered® trademarks of their respective holders. Pump up your party with PICOTARO’s official costume ー get your PPAP on ASAP!!! Pikotaro is teaching Elmo and Cookie Monster how to do the “PPAP” ! Does it means that the Sesame Street version of “PPAP” ; the “ CBCC “ is finally done ? !